Perfect for exposed outdoor areas, the Superscrape Plus mat has a partitioned border that allows rain or snow to run off the mat so it doesn't pool on the surface. 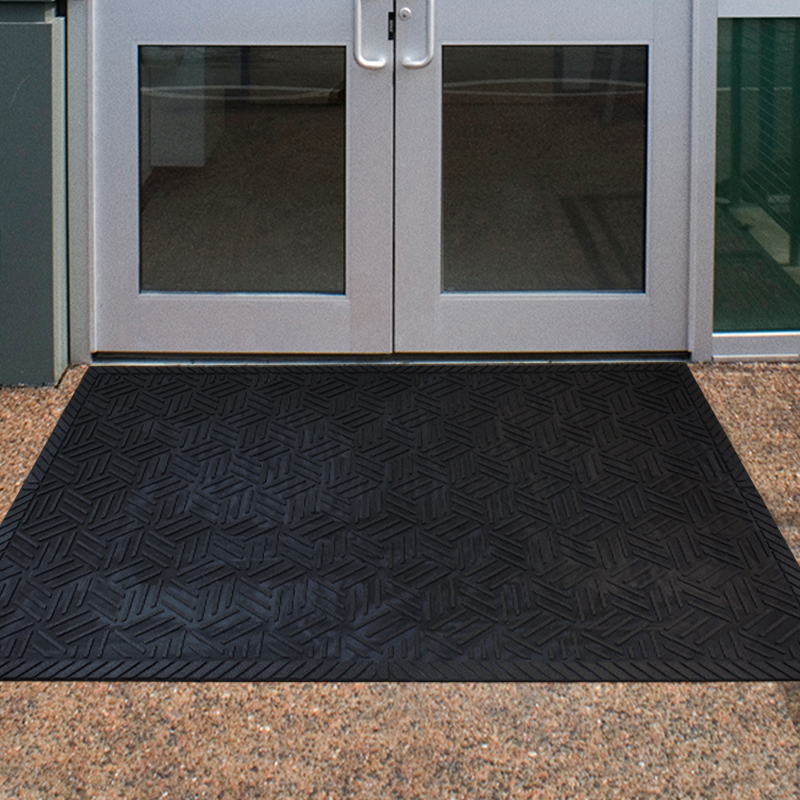 The geometrically shaped treads scrape away tough dirt and grime from shoes in multiple directions and doubles as greaseproof slip-resistant surface when utilized indoors for wet locations. • 100% static dissipative Nitrile rubber construction offers excellent moisture, oil, grease, chemical, static electricity and UV resistance. 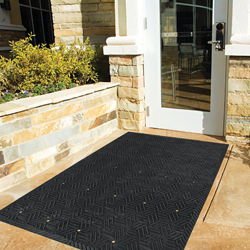 • The drainable border filters water off the mat, and is available with or without holes to siphon away excess water. 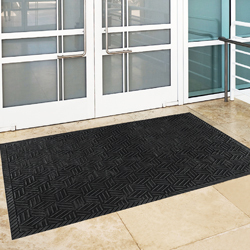 • Multi-directional molded tread pattern effectively removes contaminants from footwear. 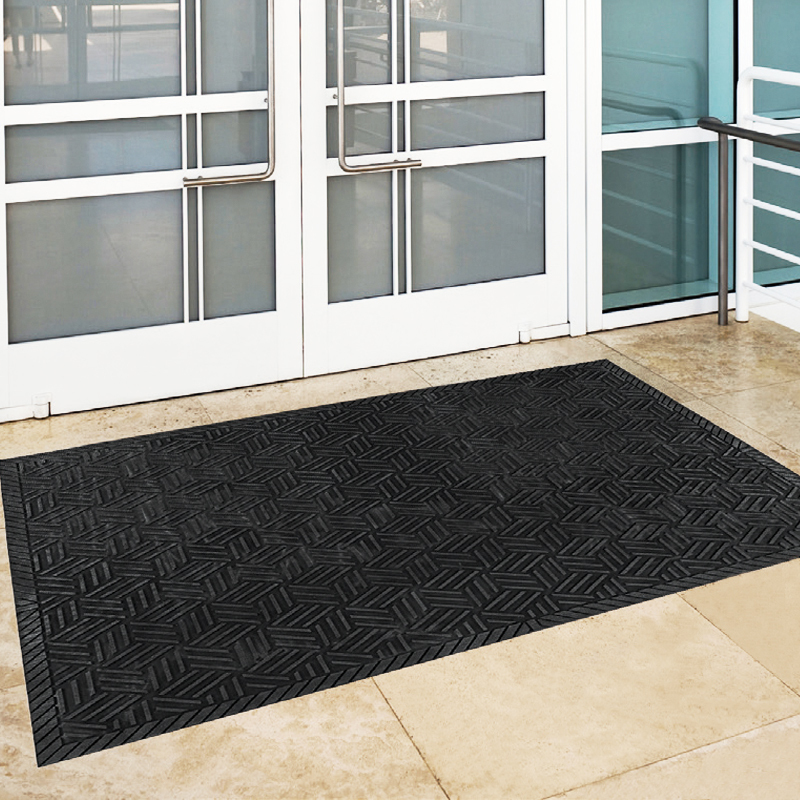 • Perfect for use outside of entrances as a scraper mat or as a indoor slip-resistant mat in wet areas. 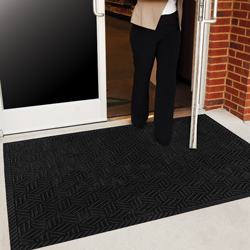 • Eco-friendly mat incorporates 20% recycled Nitrile Rubber.